It’s no secret that kids love an imaginative dress up experience, so don’t limit costume time exclusively to October. Instead, challenge little ones to create a do-it-yourself mask; perfect for their next make believe session. 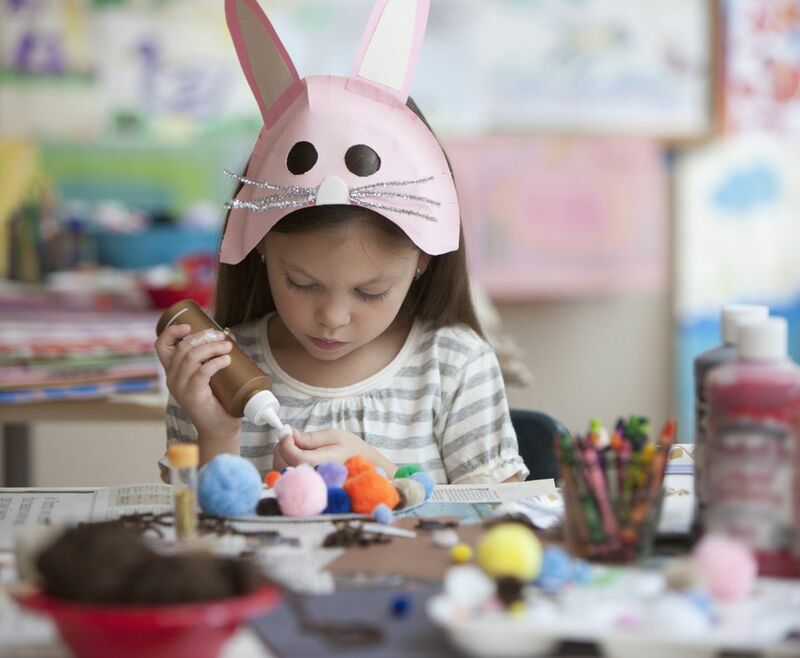 With everything from a full-face, hands-free, animal mask to a cutesie unicorn handheld piece, you’ll find plenty of ideas below to get you and your family started. Soft craft foam is a great crafting material for kids: it cuts easily and there’s no danger of paper cuts. 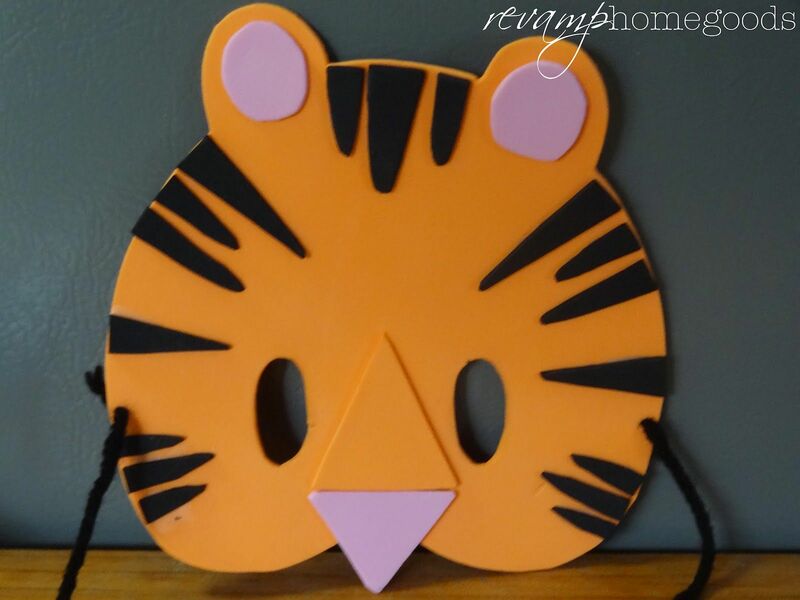 Get little ones started by cutting a few simply shaped animal heads, then allow them to decorate with stripes, spots, and feathers. Add an elastic strap and prepare for a day of wandering around the local zoo (or just exploring the backyard). Kids always want to get involved in seasonal costume-making, but lots of DIY Halloween projects are too advanced for beginning crafters. Introduce children to autumn crafting with this clever ghost mask. Cut a sturdy card stock template, then little ones can glue cotton balls to cover and attach a wooden craft stick for easy playtime. A solid unicorn craft is always a great way to play with colorful papers, paints, and glitter, and this straightforward headpiece is no exception. Start with prefab masks, or use cardboard as a sturdy base. Kids can decorate with a rainbow-hued mane and a golden horn. Pro Tip: A striped paper straw works wonders as a mask handle. Felt is a great media for kids’ masks thanks to its softness and availability. This simple craft uses neutral colors to mimic a realistic owl. Start with a basic mask shape, then an adult should use a sharp craft knife to cut eye holes. Add fringed felt or faux feathers and a ribbon tie to complete the project. Take your emojis larger than life with this fun tutorial. Use a big mixing bowl as a template to cut circles from cardboard or sturdy paper, then have kids pop in heart eyes, sunglasses, and toothy grins. These masks also double as great photo booth props at your next kids’ party. Go for a textural experience with a faux fur animal mask. While kids might need a bit of help cutting tricky eye holes, they’ll love shaping some furry fabric into their favorite fuzzy creature. A pair of pointy ears finishes the craft, but feel free to add your own touches too, like pipe cleaner whiskers or a button nose. Paper plates come to the crafter’s rescue again as the versatile base for a variety of easy masks. A halved plate can easily transform into a ferocious lion or clucking chicken with the help of a little paint and construction paper. An empty cardboard toilet paper roll adds extra depth - perfect for a piglet’s nose. Scatter a few recycled supplies and let kids' imaginations take over. Have a mini caped crusader in your house? Channel that superhero energy into craftime by assembling DIY masks. Customize yours with craft foam, construction paper, stickers, glitter, or whatever odds and ends are gathering dust in the art bin (but don’t miss these handy, printable templates to get things started). After all, every good superhero needs to disguise their true identity. Prepare for the warm months and long days with these colorful butterfly masks - only paper, glitter, and craft sticks required. This project makes a great companion to a metamorphosis learning moment or an afternoon of collecting caterpillars for your curious little crafters. Add a pair of bendy antennae to the tops of your masks for an added component. A great option for little ones with active imaginations who are excited to make believe, this simple idea utilizes kids’ handprints for the lion’s furry mane. A small length of elastic works perfectly as a strap, and bendy straws are used here for the lion’s whiskers. Kids can get a bit messy finger painting in the lion's features, too.